Before I share the hat of the day, I want to thank my good friend Michelle of Grammie Time for featuring me in a fun question and answer guest post today! She was the first blogger to ever reach out to me and I so appreciate all of her support and friendship throughout the past year. Michelle is the one who taught me that blogging is about community, and a word of kindness (or several comments) can go a LONG way! Her blog is so practical and full of fun ideas – you’ll want to spend some time exploring it! So thank you, my blogging buddy and near-empty-nesting friend for all the kindnesses bestowed on lil’ ole’ me. Here’s a hug from several miles away! 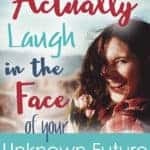 Now go check it out by clicking here – you may discover a few quirky things about me that you never knew before! Be sure to leave a comment if you have time – I’d love to know what you learned about me! 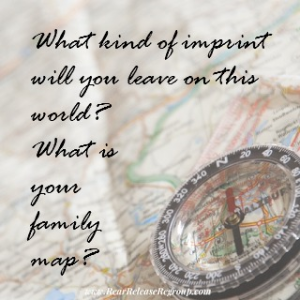 What’s your family map? As you pioneer your way through the unmarked forest full of undiscovered resources and possible set-backs, do you have goals in mind? Where are you headed with your troop? A pilgrim is a person who goes on a long journey often with a religious or moral purpose, and especially to a foreign land. 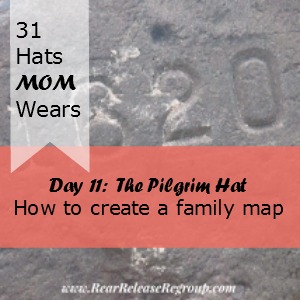 You, mom, are a pilgrim. You have some decisions to make, along with your husband, on how best to do this. A personally designed map, tailor fitted just for your family. What is your spiritual growth plan for yourself? 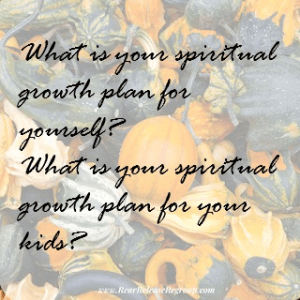 What is your spiritual growth plan for your kids? Will you have a devotional time with them each day? Have you given them devotional tools to use on their own? The Pilgrims came here in order to worship freely. If you want your kids to follow Christ and be reared in a Christian home, this is an essential step to take. Whenever my husband and I moved to a new town and looked for a church, we kept the kids uppermost in mind. Are you going to work outside the home? Just be sure your kids are safe. No money in the world can substitute for putting your child in a harmful situation. How will you seek to minister to the natives neighbors? Taking a meal to a neighbor or getting their mail when they’re sick is shows a heart for others. Where will the kids attend school? Everybody knows the Pilgrims celebrated the first Thanksgiving. But I’m not talking about just Thanksgiving. I’m speaking of your every day life. And your kids will pick up on your thankful attitude. What kind of imprint will you leave on this world? 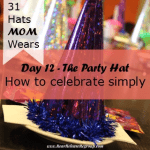 Click here for Day 12: The Party Hat! I appreciate the opening paragraph Ruthie. Do check back during the week to see comments and feel free to respond to them if you wish. I think this is my favorite hat yet. This was always the most difficult one to wear as we were raising our monkeys. I stayed home full-time, we public schooled and finding a church catered to our children’s needs during their years was always the most difficult to do. Especially when they reached the teenage years and we encouraged a youth group for them. It was not always easy to get them involved. The thankful attitude, my favorite one though. We found so many things in the midst of the hard times to be thankful for. Great post! Michelle, you’ve been so good to me! Thank you, thank you, for reaching out to me and showing me what blogger friendship truly is. Every family has their struggles and hard times, you and I both know that and we all struggle to find what road to take next. We are certainly kindred spirits – I loved that in your opening today! 🙂 Thanks for always being so supportive, it means so much to me! 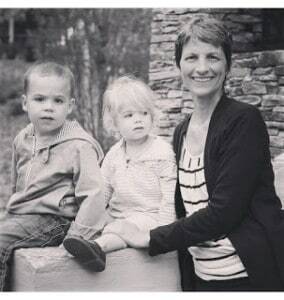 This is a beautiful reminder of what part of my job is as a mom, Thank you! I found you through the Write 31 Days community. Hello Ruthie! I am visiting from Michelle’s blog. I enjoyed learning about you and also visiting you page today. You have given some great advice here! !